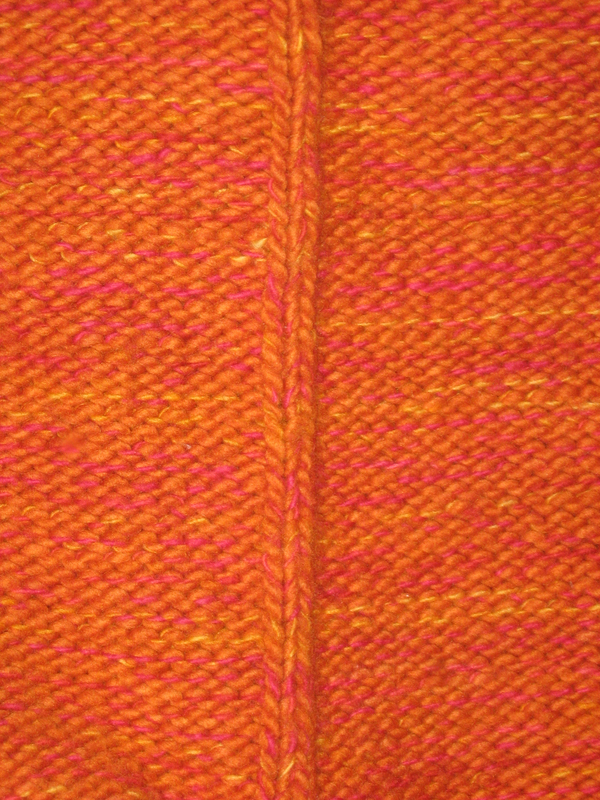 This is another orange sweater. One strand of thick yarn, and one strand of thin yarn held together throughout. The thin strand kept changing, from yellow, to pink, to red, and back and forth between. The thick strand stayed orange. 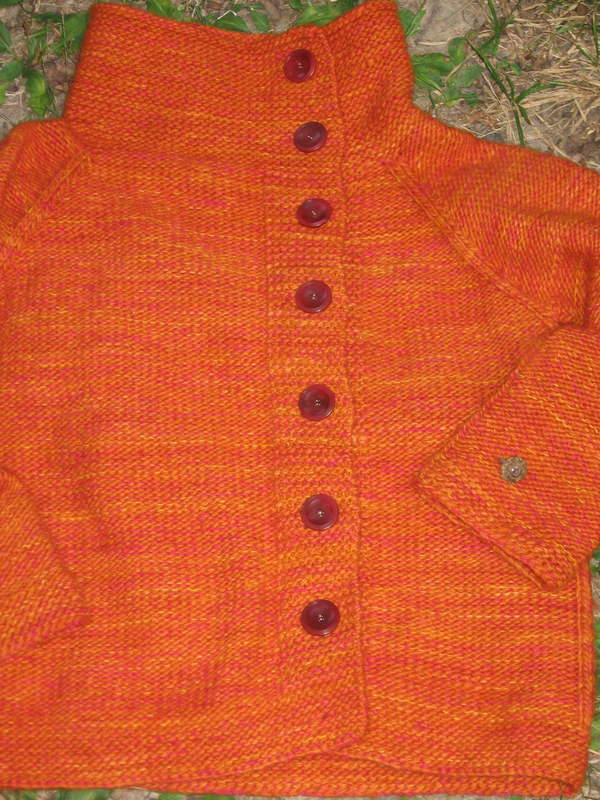 The sweater was knit top down, on size 10 needles. I wanted to use Malabrigo worsted weight yarn for the base, and added a strand of lace weight so that I could use the size 10 needles for the gauge required. 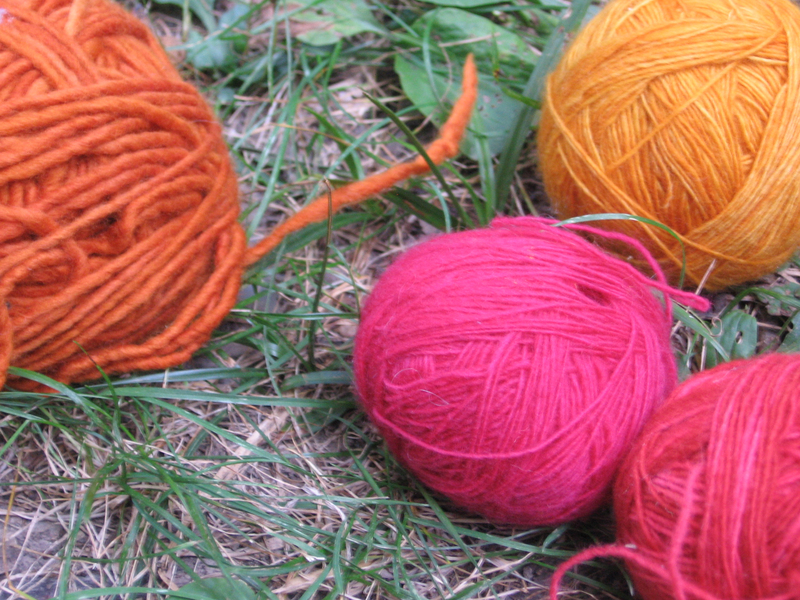 I had been looking at the four colors of yarn in the store for a while, thinking of what to make. I was considering a lace project, and when I realized that I could put the two weights of yarn together it was a perfect plan. 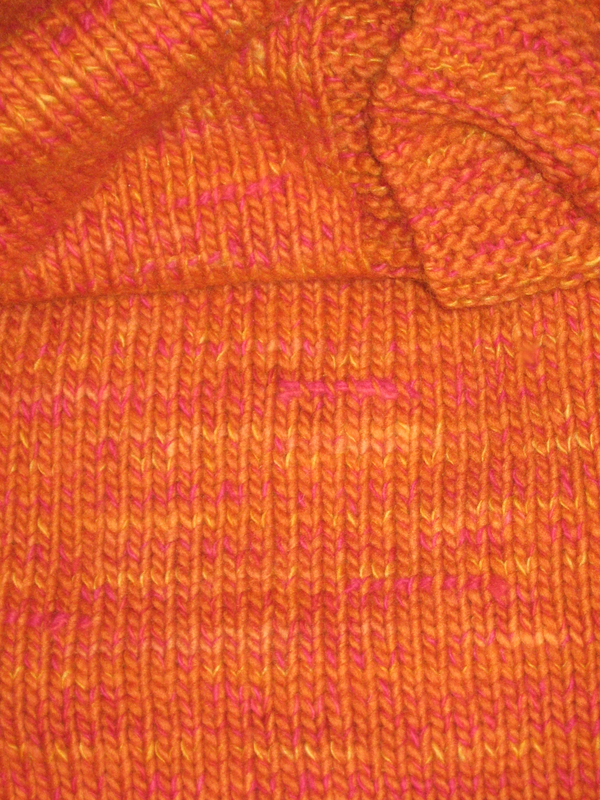 The sweater is knit in reverse stockinette, with garter stitch borders. 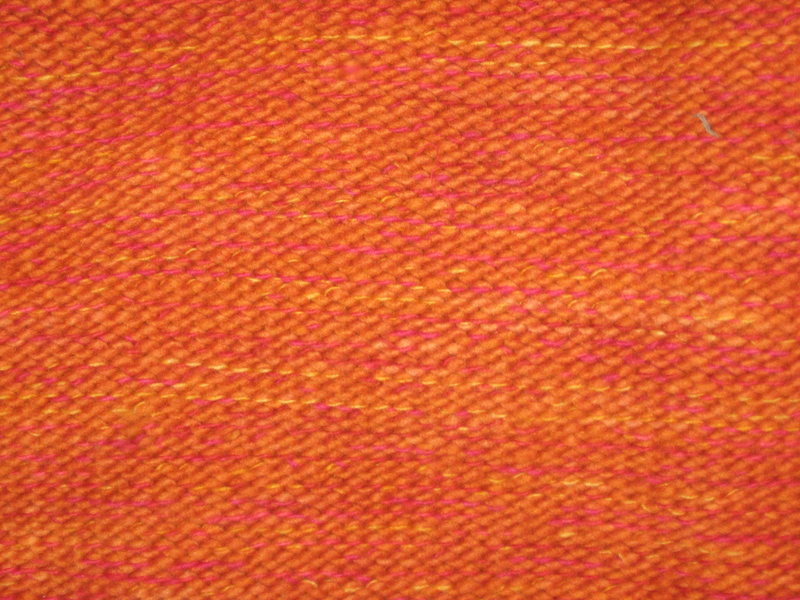 I liked the effect of the constant change of threads and the more bumpy texture of reverse stockinette. I changed the lace weight yarn every row, or every other row, at random. The side “seams” were created by a row of stockinette, and add a nice little touch. All together a very simple sweater, and worked up quickly, with the big needles.